I also got to see an old friend tonight and spent a few hours reminiscing, chatting and laughing a lot. I’m grateful for good beginnings and ends to this day. 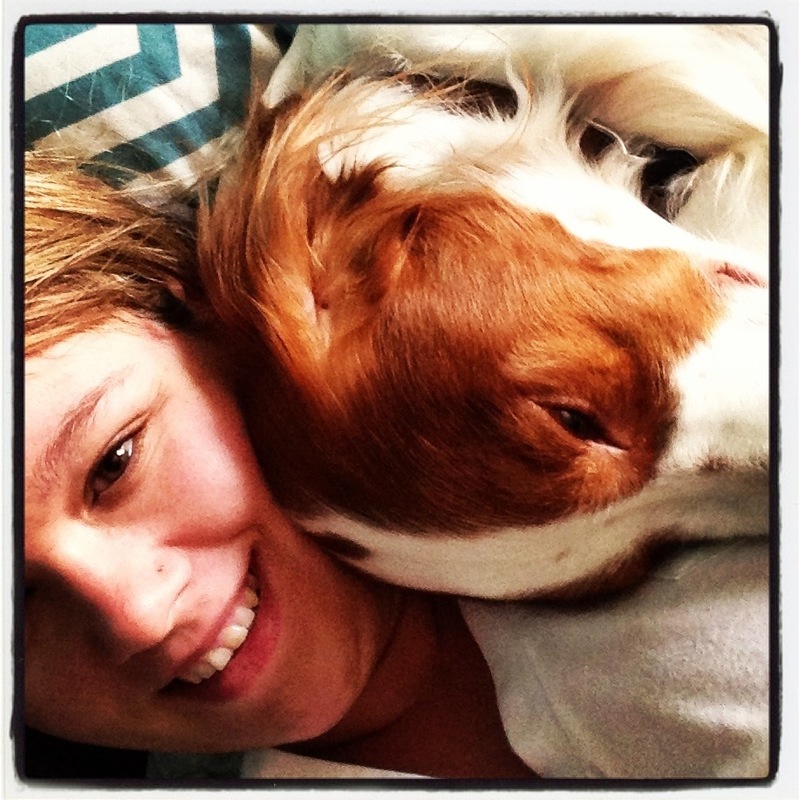 Categories: things I am grateful for | Tags: grateful, grateful 365, I need to brush my hair, laughter, old friend, pup, silly, snuggles | Permalink. this weekend we had to drive up to Rhinelander for the sweet hub’s grandma’s funeral. 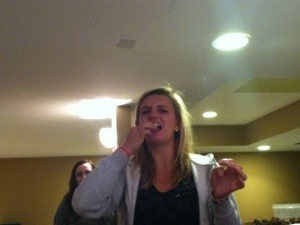 it was a long and hard and exhausting weekend. 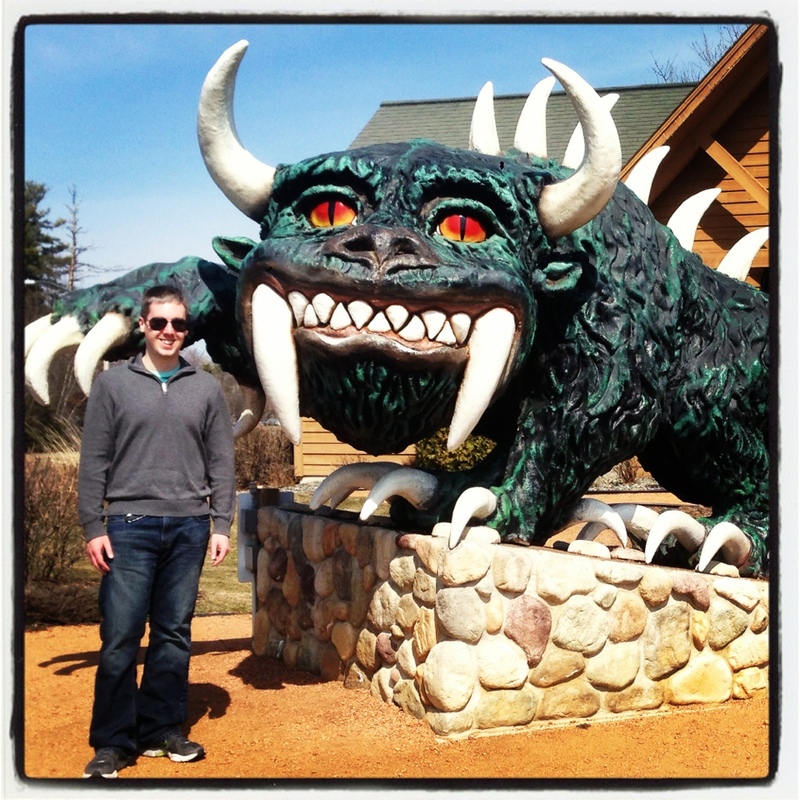 but my hubby and I stopped on our way out of town to take a picture with the hodag, a Rhinelander legend. I am grateful for a hubs who makes the best of crappy situations and likes to laugh. Categories: things I am grateful for | Tags: grateful, grateful 365, hodag, rhinelander, silly, sweet hubs | Permalink. Today the thing I’m most grateful for is this sweet text from Harlow and her mama. 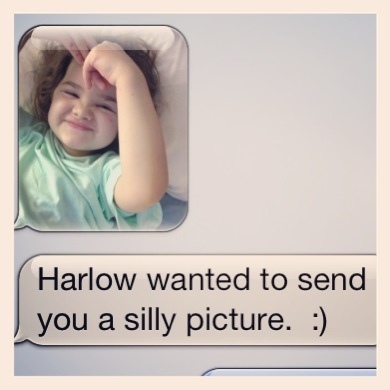 I love to see Harlow’s silly spirit shining through. Categories: date night, food for the hungry, recipe, things I am grateful for | Tags: fundraiser, grateful, grateful 365, Harlow, hope for Harlow, lan party, plants, silly, spring | Permalink. grateful for silly friends, video scavenger hunts, laughter and friends who are so full of joy and life that they make me feel more alive. Categories: things I am grateful for, young life | Tags: goofy, grateful, grateful 365, pictures, silly, video scavenger hunt, yl, young life | Permalink. today I am grateful for music that made my hour+ commute each way the most enjoyable in awhile. 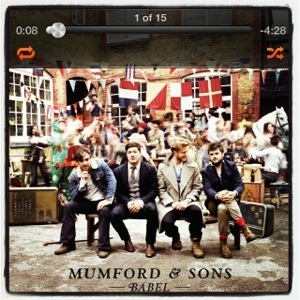 in case you’ve missed it, I’m seriously loving the new Mumford album. 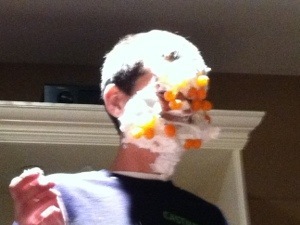 and for cheese balls, shaving cream, and sweet high school friend’s faces. 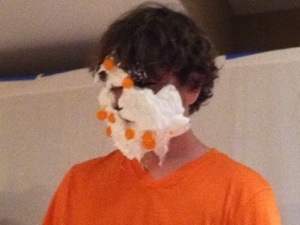 and last, but not least, for coming home to a super silly husband who always makes me laugh. 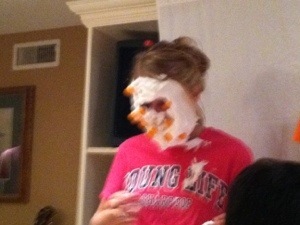 Categories: things I am grateful for, young life | Tags: grateful, grateful 365, silly, yl, young life | Permalink.